Getting an eBook out there – a fast process? The idea that you can upload an ebook and be on sale in 24 hours is a bit of a myth. 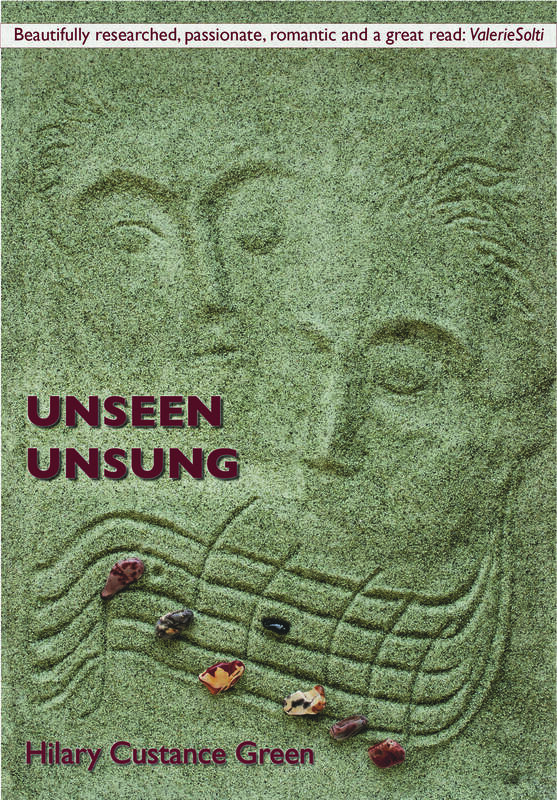 I decided to learn about the process using my last novel Unseen Unsung (published as print book by Threadgold Press in 2008). Step 1. The original printers, Antony Rowe, converted the novel into the two forms of ebook (.epub and .mobi files) for the ibook and Kindle platforms respectively. This entailed writing a new imprint page as a pdf and a remastered cover as a JPG (I wanted to keep the original cover by Anthony Furness, but sharpen up the graphics so they would be visible in thumbnail pics). This took 2-3 weeks. So far so good. Step 2. I could now see and read my ebook on my iPad and I could email it to anyone, but to sell it I needed to upload it to iTunes and Amazon KDP. Both of these are US-based and pay taxes in the US (see http://kareninglis.wordpress.com/paying-uk-income-tax-on-book-royalties-uk-authors/). If you live elsewhere you must have either an ITIN number (as a foreign individual), or an EIN number (as a foreign publisher). The first requires a complicated and lengthy process involving posting your passport to the US, the second can be done on the phone to the US. See http://catherineryanhoward.com/2012/02/24/non-us-self-publisher-tax-issues-dont-need-to-be-taxing/ though this is a shifting process, so read the post and the later comments. In my role as Threadgold Press I opted for the latter, but it took up to a week of getting my head round the forms (SS-4 and W-8BEN), the process and choosing the right time and day to phone. Once I had got to this point, it went as planned and I obtained the magic EIN number for my SS-4, in order to fill in the W-8BEN, so I will not be liable to tax in the US. Step 3. Try to upload to iTunes. This should have been straightforward, but for reasons still unclear, I am not receiving a verification email from them. I am in touch with their helpline and have had a call and several emails from the iTunes Support, who are on the case and will I am sure sort this out. This has lasted a week. Step 4. Try and upload to Amazon KDP. I have spent a couple of hours filling in details and, rather importantly, reading their Terms, which are frankly alarming. I have now ‘agreed’ and waived my right to almost everything you can think of. I have filled in their online W-8BEN with my magic EIN number and now have to wait for approval of this. I have no idea how long this will take – but I understand it may be weeks. This is the simplified version of events so far, it doesn’t include things like the revised W-8BEN having no box for an EIN number… I hope the next post will show the end of the process. This entry was posted in Writing notes and tagged Amazon KDP, Anthony Furness, Antony Rowe printer, ebooks, EIN number, Hilary Custance Green, iBooks, iTunes, Kindle, self-publishing, Threadgold Press, Unseen Unsung by hilarycustancegreen. Bookmark the permalink. I am glad you stopped by! I am reminded of your writing adventures when I pop over to your blog. You are inspirational! Thanks. I loved the image of lining up books to read over two generations. As I understand it, ebooks are subject to tax in the UK even though printed books are not. If you sell through KDP and pay taxes on sales in the US, do you have to pay a tax on the sales in the UK as well if someone in the UK buys your ebook? Yes, if you cross the tax threshold you would pay UK tax (I’d have to sell a lot of ebooks). VAT is payable though I’m not yet sure how that will work – there will be another post. No you don’t have to pay tax in both US and UK (unless your business is in both countries), but you have to go to a lot of trouble to sort it out and some writers are paying in both. This is enough to put anybody off. Quite intimidating. A pal of mine has published e books on photography and I bought one but none of the photos downloaded even though they were in the upload. Bizarre. I have been looking at various aspects of tax in the UK and discovered that if you earn more than £80,000 you have to register and charge etc VAT. I dread to think what happens in the US, which seems to have a tax approach of charging more than you earn. A couple of my colleagues have given up their US citizenship because they regard the US tax system as unfair and overly complicated. The key question though is can we buy your book online or not? If it is listed as a e book on Amazon.com I can buy it but if it is on Amazon.UK I can’t. Work that one out. I never have been able to. Yes, I felt quite depressed as I started to read the threads on the subject, but other writers and even tax authorities are (mostly) very helpful. Interesting, though maddening for you and the author, about the ebook with no photographs. I will eventually be publishing a book about Far East POWs full of photos, so I will have to get my head round this.The US tax at source whatever you earn, so your tiny revenue can disappear before you see it, if you don’t sort this out first. When this whole process is complete, my ebooks should (I think) be available on Amazon.com or on iBooks. I can’t buy iBooks either from HK. Recently we were allowed to buy music from iTunes but still not books. Apple says it is a rights issue. A friend of mine is a WW2 historian focussing on HK. I’m sure he would live your PoW book, as would I. The global market…? I am still trying for mainstream with the POW book, but if I do it myself, I will have full control and will be able to send copies to individuals (but not get paid) by other means. I use Smashwords for everything except Kindle – you upload once and they do the rest. It’s free and they cover Apple ibook, Barnes & Noble, Kobo etc With Amazon you can choose which territories to publish to on KDP, so choose UK and USA if you want to be on .co.uk and .com. That’s interesting, I did look at Smashwords, Fran, but it would have added yet another layer between me and the public – and some expense. And you still have to get hold of your Tax code, so I thought I’d try to do it myself, using my already in print novel to test this. This way I stay in control and can use my own bank and not PayPal. Once I have uploaded this, it will be all set up for subsequent publications, I hope. I already have the ebook on my iPad in iBooks, but just not yet for sale. I can like all this now, having come to the realization that if it’s ever to apply to me, it won’t be for æons ! What a palaver, eh, Hilary ? You may need it yet! Yes, it’s a palaver and I’d rather be a so-so writer than an even more inadequate publisher, but it’s great to have a choice, and good for the ageing brain cells to tackle the technology. I do some of that too (in a British kind of way). Thanks, I need the sympathy after an hour or so of Internet wrestling today, but the iTunes guy phoned me from America and metaphorically held my hand while I completed his route out of the invisible problem my application had met. My iBook should go live on Sunday or Monday. Great, I am looking forward to The Bush Devil Ate Sam. Good luck with the cover, I am living in a sea of indecision (everyone has firm and divergent views) on this subject for the new novel, Border Line (due out December).